DIRECT WATER FRONT on Whites Creek with gorgeous bay views! Sit on the screened porch or in the living room or stand in the kitchen and see water everywhere in this spacious 4 bedroom condo. or sit on the front porch and watch the sunsets. Over 1900 square feet with FOUR bedrooms and FOUR bathrooms - this is one of only a few condos in this community with 4 full bathrooms so every bedroom has it's own bath!! This home comes fully furnished and has lovely coastal decor and paint colors in all the rooms. And the amenities here are amazing with a large pool, tennis, basketball courts, jog/walk paths, kayak storage and launch area, boat ramp and even a golf course all included with your condo fee. This is the perfect resort get-away with room for many and activities galore in this community. And - the ocean and beach are just a short drive away. Driving Directions: Rt 26 West, right on Old Mill Rd., right on Railway to the end into Bethany Bay. Go around the circle and follow Pettinaro. Right on Harbor to #2606. 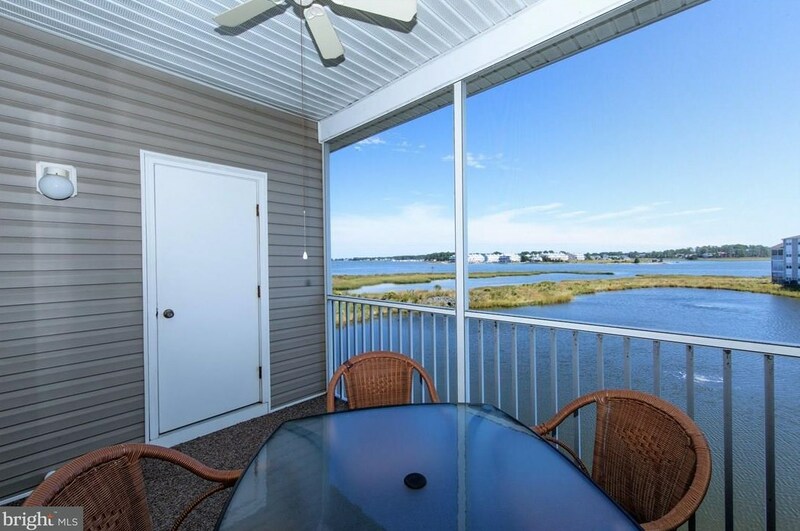 37182 Harbor Drive #2606, Ocean View, DE 19970 (MLS# 1001568324) is a Condo property that was sold at $267,000 on July 20, 2018. Want to learn more about 37182 Harbor Drive #2606? Do you have questions about finding other Condo real estate for sale in Ocean View? You can browse all Ocean View real estate or contact a Coldwell Banker agent to request more information.